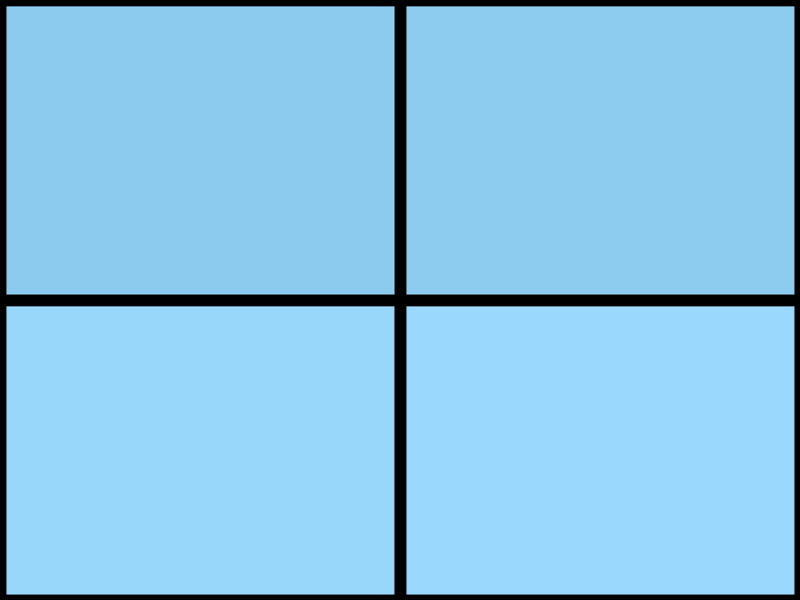 Kichu is one column theme, which supports all the post formats. This design focuses on your content & is perfect for an elegant blog site. 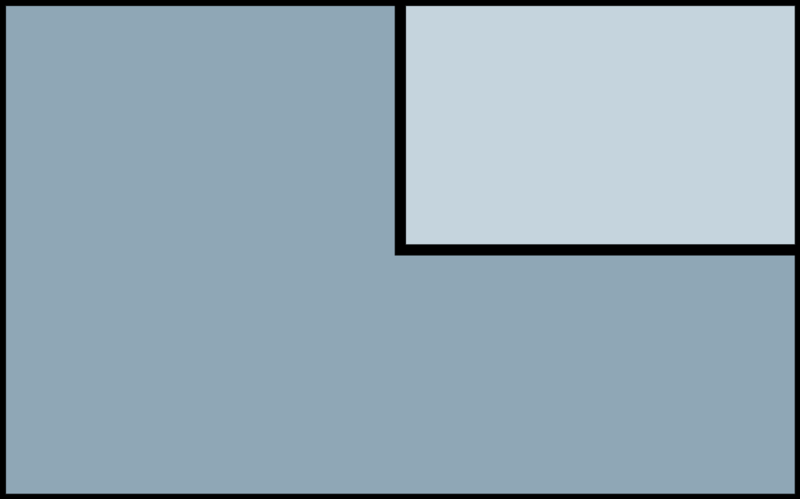 This theme allows you to customize colors, and is translation-ready. 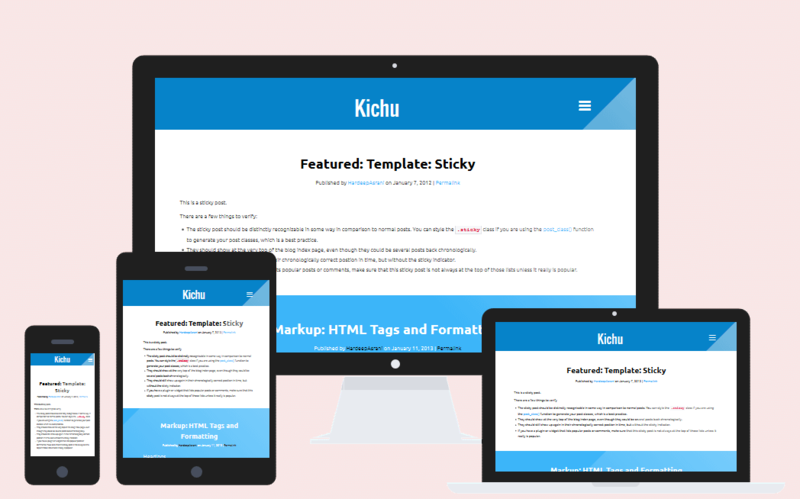 Kichu is responsive, and it looks good in all the devices, from a big screen computer to a small screen mobile device. You don’t need a separate mobile website for your website! 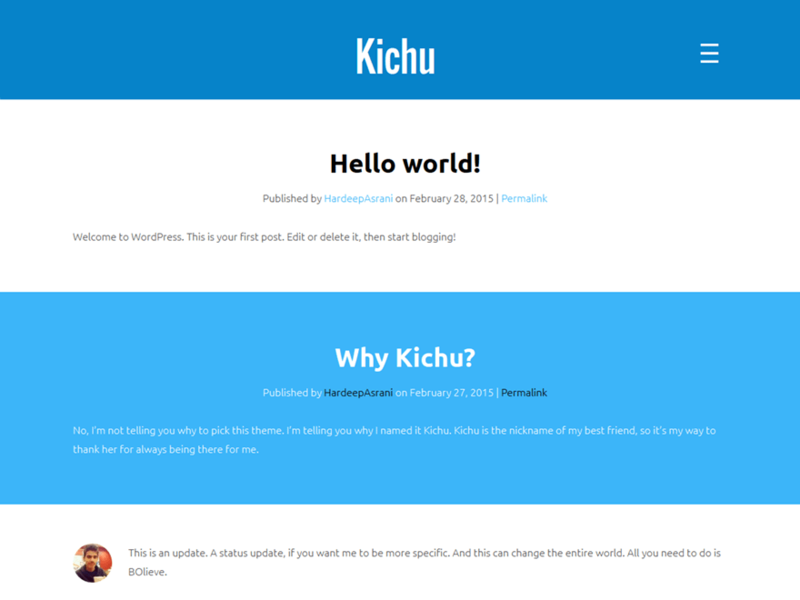 Kichu comes with several options to customize your theme the way you want. You can customize background color, menu, text, footer and more customization straight from Customizer. Kichu is also translation-ready, so all you need to do is grab the translation file from the /languages/ folder and start translation theme to your own language. 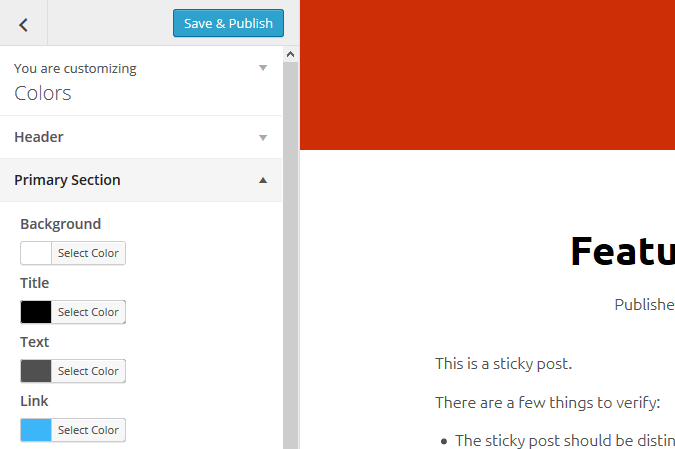 Also – slide out jQuery menu, post formats support and more! 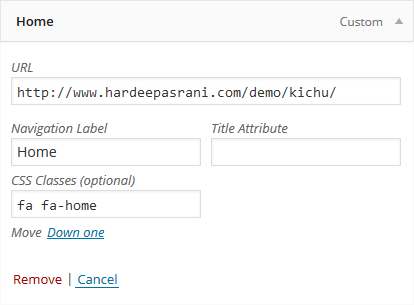 Kichu includes Awesome Font in its core, which allows you to add custom icons to your menu. To do this, visit this page and add your favorite icon’s class to your menu item from Appearance > Menus, just like you can see in the screenshot. 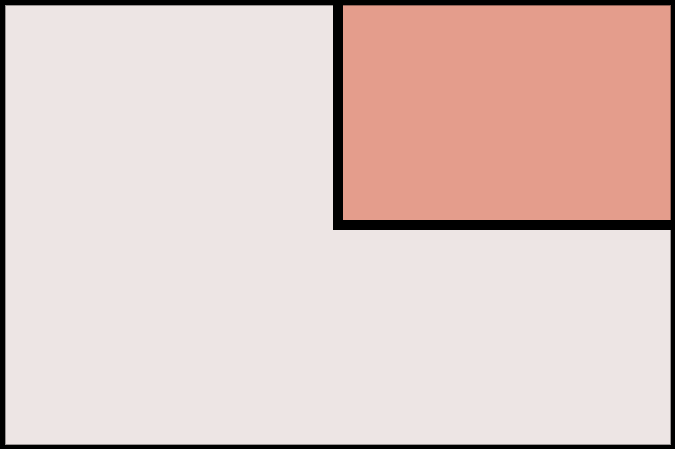 For example, if you want to add WordPress icon then use this class fa fa-wordpress for it. If you are not seeing an option to add a class to your menu item then enable it from Appearance > Menus, click the Screen Options tab on the top, and check CSS Classes option. Found an issue with the theme? You can get support at this link. Or do you want someone to customize the theme for you, or maybe to add new features than you can hire me for this job by clicking here.